Yet the difference between COP15 (Copenhagen, 2009) that spectacularly derailed global efforts to reduce fast escalating levels of greenhouse gas threatening Everything and COP21 (Paris, 2015) is seismic. After endless hours of debating over how much the global temperature should be allowed to rise (as if Nature doesn’t have her own laws) finally in Paris there was an agreement that the consequences of allowing the Earth to heat beyond 1.5C will be catastrophic and must be prevented. For climate activists that’s gold. Why? Because it finally enables frank conversations with lawmakers who have knowingly and willfully been held hostage by fossil fuel companies and their investors since the mid 1970s when UN environment talks first began. If the Earth is to remain habitable then as much carbon as humanly possible must be kept in the ground, as well as out of the atmosphere. In simple language, that means no more fossil fuel energy projects. None. It also means bringing on a whole swath of sustainability projects that will create untold numbers of new jobs and investment in local economies as detailed in our Safe Climate Demands. While 2015 saw a seismic shift in the global climate debate and the realization that locally owned and controlled renewable energy systems will be better by every measure, we predict 2016 to firmly lay foundations for post carbon local economies the world over. The speed at which this occurs depends on how forcefully people in local communities demand it. Given the urgency, as evidenced by extreme weather conditions everywhere, there isn’t a moment to spare. 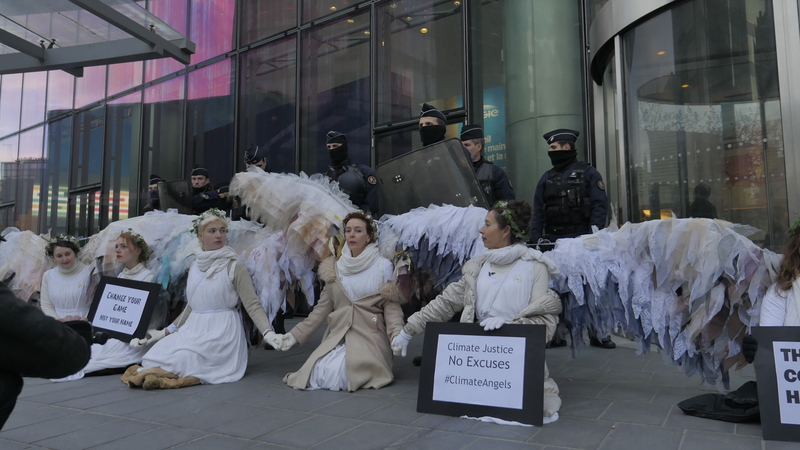 Buoyed by enthusiastic responses to our COP21 ‘visitations’, know that ClimActs remains committed to peaceful protesting using beautiful imagery and strategically delivered satire based on the most credible, independent information available.